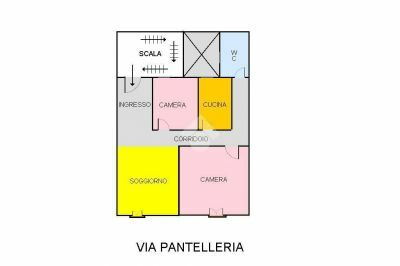 In the immediate vicinity of CORSO PIERSANTI MATTARELLA, more precisely in VIA PANTELLERIA, we have an apartment on the second floor in a small condominium context, consisting of four residential units. The property is developed with an entrance from which it is possible to access a large living room with exposure on the aforementioned Via Pantelleria. The corridor leads to the sleeping area characterized by a small bedroom and a double bedroom, and then we find a kitchen that is habitable. The apartment has a bathroom with a bathtub. 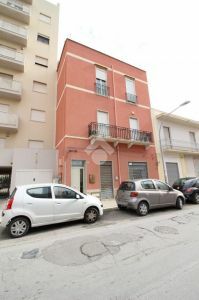 The property is in good condition thanks to the recent renovations and renovations carried out by the owner, works that allow the future buyer to be able to purchase the apartment avoiding expensive renovation costs and consequently to live it immediately. Thanks to the double exposure, the apartment is very bright and well ventilated. To highlight is the urban fabric in which the building is located, an area rich in commercial activities and services. As the property is empty it is possible to view it every day by telephone appointment. - This information is not a contractual element.